The hollow to mount the transducer makes it unique from the market in its category. 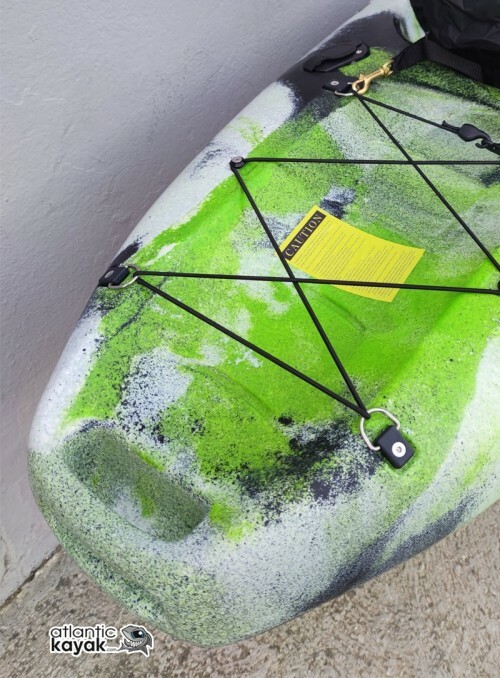 A compact kayak with pro angler equipment. 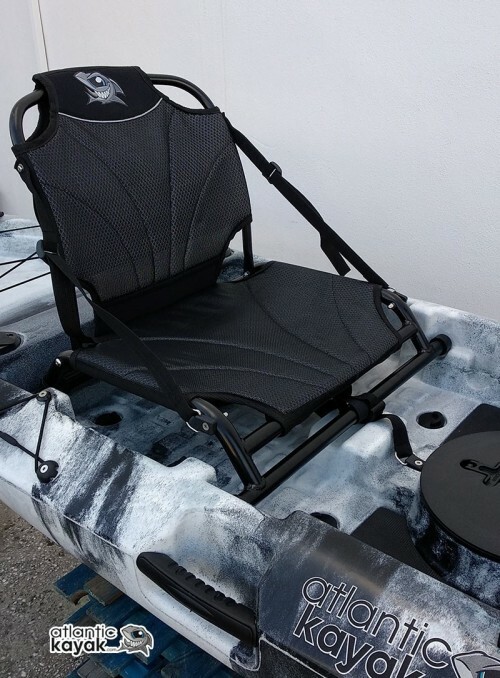 NEW KENAI PRO KAYAK model of fishing, of the type SIT ON TOP, ideal and comfortable to enjoy a day of fishing, as well as for a pleasant walk in both sea and inland waters. 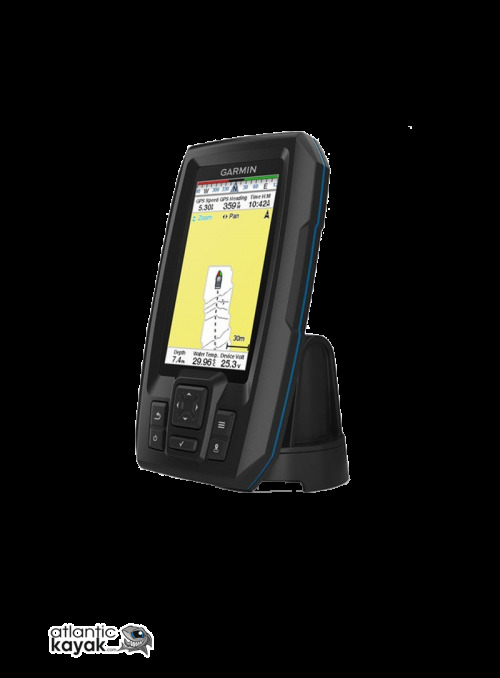 The KENAI PRO Kayak is made of polyethylene LDPE, in one piece, with the latest technologies of Rotomoldeado and with a thickness in the skin between 4.5-5 mm. 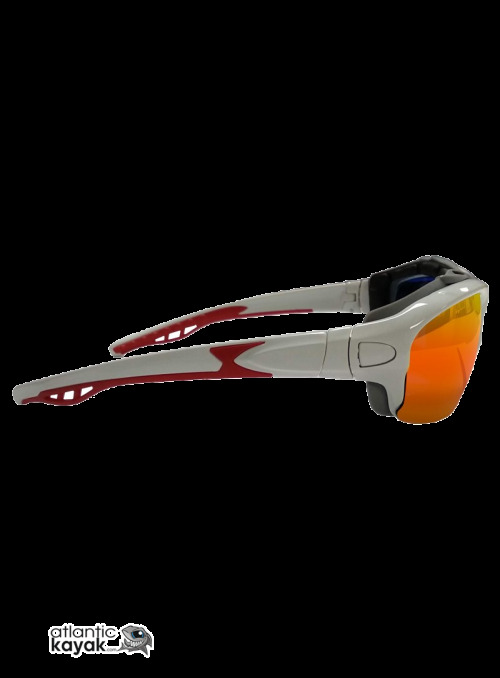 High UV resistance. With a finer and more pleasant finish in its outer zone, the robustness of the boat and an improved design make the KENAI PRO KAYAK that is versatile, easy to navigate and a perfect companion in the days of fishing, as well as some of the kayaks more Versatile thanks to its GREAT EQUIPMENT AND OPTIONS of assembly of cane and supports compatible railblaza with 3 simple screw without drilling the kayak (change as many times as you like or you need !!!). We remember the versatility of the railblaza supports for the assembly of many accessories quickly and safely. The Kenai Pro fishing kayak is self-emptying. 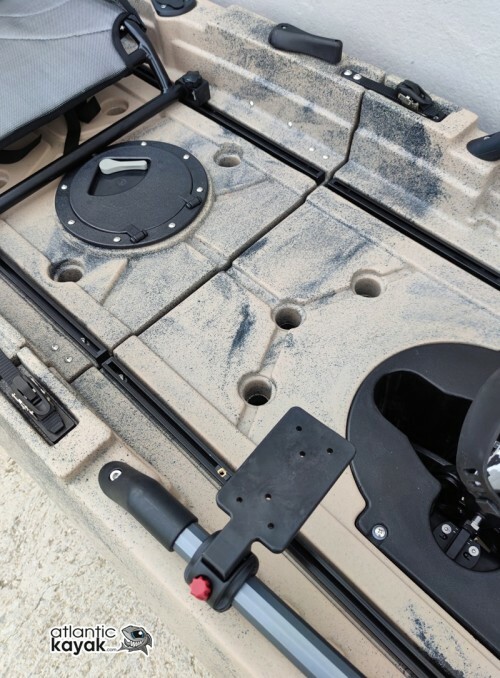 With self-emptying kayaks, you'll have an unbeatable fishing platform. They are much more stable, sharing an ideal cover to mount several reeds and to take the equipments. Performing the autorescate is extremely simple, so you do not need to acquire any special technique. Enjoy your kayak with inaccessible coves and unequaled environments in an easy and healthy way. Fishing or walking. Have fun. Ideal for laying the bottom bait in the fishing from the shore in a practical and comfortable way. Thanks to its light weight, only 22 kilos full, you can easily transport your kayak without help. The Kenai Pro fishing kayak comes equipped with two side handles integrated into the body of the kayak to make it more comfortable transporting it as well as durable and two drag handles pro and stern, so you can handle it with total comfort. It includes an elastic shovel holder on one side, to accommodate the shovel when you are in the middle of fishing. So sure of our kayaks, that we offer you 36 months of Warranty on the hull. All the screws for the fixation of the accessories that incorporate our kenai kayaks, is of stainless steel. Towing bow and stern, side handles for easy transport and good handling, thanks to its light weight, make Kayak Kenai your ideal companion. It has pre-installation for motor support or stabilizer bar in the back zone. You have kenai kayak available in six colors. Choose the color you choose, you will have a unique kayak !!! 4 rods with threaded inserts interchangeable by compatible supports railblaza. NEW SYSTEM for TRANSDUCER mounting, with PROTECTIVE COVER. 1 Multi-directional PRO premium central barrel. 2 Wings integrated in body of the kayak. 2 Bow and stern handles for transport. 1 Aluminum blade painted in black (900 g of weight) with several positions for the angle of paleo and detachable for better transport. 1 Deluxe padded seat, which incorporates a backpack in the removable backrest. 1 Elastic for securing objects of the cockpit, suitable for the catch box, anchor, carriage, etc. 6 Stoppers for self draining points. 3 year warranty on the kayak hull.